India is a country that is touted to become the youngest country in the world with over 64 percent of its population in the working age group. India apparently churns over 1.5 million engineers every year. There are over a million elementary schools, 700 degree granting institutions, 35500+ affiliated colleges, 20 million student enrollment into the fields of Art (37%), Science (19%), Commerce & Management (18%) and Engineering & Technology (16%). The numbers are overwhelming - number of institutions, students, teachers and the quality of these three variables. The quality of education rendered across the board from elementary education to higher education is also an equally important aspect that needs special attention. While its indeed heartening to see many educationists building institutions that impart education, its a matter of concern that the quality of education has taken the back seat. With the Indian government introducing the quota system in education based on various parameters, the quality has taken a severe beating. While the number of students is on the rise, its a disheartening to see the dwindling number of teachers to impart quality education. There are various factors leading to the lack of quality teachers - salary, encouragement, respect are some of the reasons I see affecting the supply of teachers for quality education. While every student is taught to respect teachers, they aren't encouraged to become one because the profession doesn't fetch them the money and status (and more) that the fields of medicine, engineering, etc would offer. The field of Information & Technology (IT) has axed many other professions in the country ever since it made its way into the country in the 1980s. Professions like teaching, medicine and law were once the most coveted professions in India. IT took a sizable portion of that pie for a long time. We've seen the field of Arts and Economics slowly gain traction in the country since a few years now. There is so much IT can do to resurrect the field of education, particularly the Teaching profession. Do share your thoughts and views. Would love to have a chat. How many of us really know what we are expected to do in our job? If you think you do know, take a moment to describe your role and responsibilities standing in front of a mirror. Now put yourself on the other side of the table and describe how you will evaluate yourself. 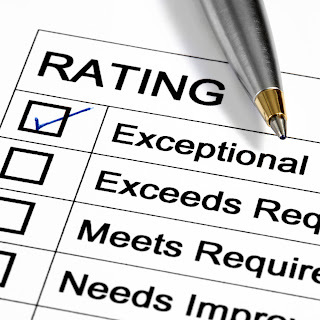 Whether you do evaluations today or not, you better do this exercise as you will have to do it someday in your career. For many years, people of all ages and walks of life have used both the terms - Leadership and Management rather immoderately. Starting from job descriptions created by the Human Resources departments of organizations, the list of people who've used includes senior executives of big and small companies, authors and also students. While it's not completely wrong to think that the schools of management can teach Leadership, it's not completely true either. Perhaps even those senior executives who seem to mix management and leadership, don't really intend to do so. But clearly the two are different, and this article Management Is (Still) Not Leadership by +John Kotter on +Harvard Business Review blog talks about it quiet nicely. 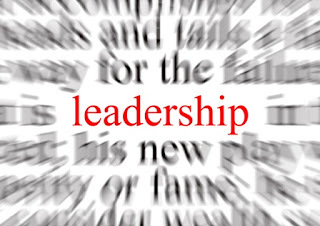 In this article we'll focus just on Leadership. There are multiple theories of leadership and I belong to the one that believe in the fact that Leadership is Not Just about Attributes, but about Behavior. You must've seen many people leave companies and institutions sighting the reasons "I don't see myself growing here!" or "It's been 10 years and I'm still doing the same thing I did when I joined the company. So, I'm quitting!" This isn't new to you or me, but many a time, such comments are treated as a trivial one. 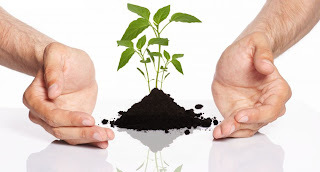 In continuation of my earlier two articles on Acquiring Talented Individuals and Retaining Talented People, I will like to touch upon the Growth aspect of people in this one. "We are going Agile", "We are Lean", "I'm a Scrum Certified Product Owner" - these are some of the classic one-liners most of us might have heard from different organizations and individuals in the software development industry. A classic response to such one-liners in a conversation would be an exclamation "Cool!" followed by questions like "What made you choose Agile?" or "How does a company get Lean?". It's a rare case when one responds with questions like "Are you sure you want to get Agile?" or "Do you have a set of DOs and DONTs while adopting Agile?". 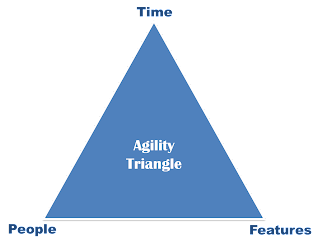 In this article, I'm going touch upon a few key points that will help you decide if Agile is really for you / your organization, and remind you of some very key anti-patterns that are bound to reduce or negate the magnitude of success in Agile adoption.